The flowers are beautiful at all stages. They are cupped at first, opening to form large rosettes, filled with many perfectly arranged petals. Their colour is a soft peachy pink. As the blooms open, the outer petals turn back and become a paler shade. There is a delicious fruity fragrance in the Tea Rose tradition. 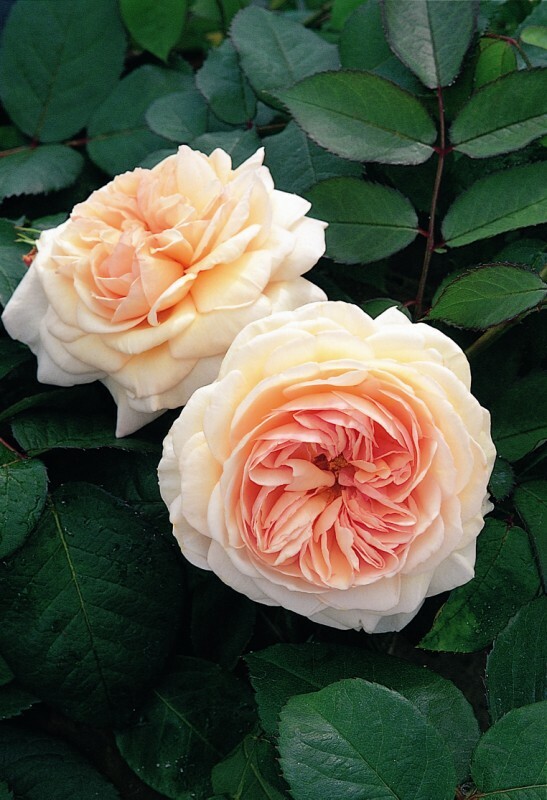 This versatile rose is closely related to Leander, from which it inherits its vigorous, healthy and almost thornless growth. It has plentiful, large, dark green leaves. In every way, an excellent and reliable shrub, of above average size. It will make a wonderful specimen rose. Position this rose toward the back of the border. It may also be grown as a beautiful climbing rose if tied in to some form of support, such as a wall, trellis, fence or pillar.